For as important as a skill as we consider source interviewing, we don’t talk much about it as being something that has changed amid so many other changes in journalism and news gathering today. In my experience working with mostly young reporters, talking about interviewing is very much an after-thought. The assumption is you got some instruction at school somewhere and some experience at college media and then refined elsewhere. But, gosh, looking back, we leave a lot of that to chance. For anyone who traffics in ideas, relationships and communication (and reporters are certainly that), “one of the most important soft skills you can have is handling a high-volume of email,” said Merlin Mann in his well-trafficked 2007 “Inbox Zero” Tech Talk. The idea here is that time and attention are irreplaceable, finite and the most valuable resources of knowledge workers. So, as silly as it sounds, managing efficiently your email is a major skill. Yet we all get overwhelmed by the fire hose that is our email inbox (and don’t put any workforce development time to this). For an industry that needs to keep our sources organized and be able to manage relationships (and do so by emailing better), that’s a sin. As I’ve brought on a couple reporters, I’ve found myself working with my cofounder Brian James Kirk, a true student of email productivity, to coach them on better email practices. The federal tax deadline is barreling toward us. I thought I’d share what little I know and what I’m reading about deducting home expenses for those of us who have done just that this fiscal year. Beginnings say as much about who begins them as they do about what they begin. Journalists and writers, of professional kind or independent and online, take very seriously the ledes they produce and how others see them. It’s very likely that I have had harsher scrutiny for ledes I’ve written than for anything else, and it’s even more likely you’ve found the same. Thusly, I’ve gotten lots of lede lessons through the years, particularly those with a bite or two that are worth sharing. Below, lessons I’ve learned about crafting a strong lede. Share your own, so I can add to this list. 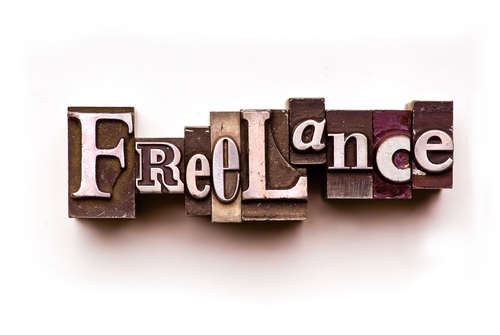 Can you still start a freelancing career? After announcing I took a step away from freelancing, a legal aide with aspirations of a cushy freelance career shot me an e-mail. I did it for just a year and did so out of college, so I don’t pretend to be any sort of expert. Yet, as writing — like publishing — as a commodity falls in value (and the prices that come with them), I sure feel like it’s worth making clear my experience. Continue reading Can you still start a freelancing career? They can help set goals, limitations and create healthy habits. Whenever I’m due for a relatively big change in my life — new income, new priorities, new costs or the like — I play with a wonderfully useful Budget Calculator from CNBC. Suppose, you pulled in roughly $2,800 a month from independent contractor work — $700 weekly of income that doesn’t have taxes taken out from an employer and works out to be $36,400, a small fortune for some. A good rule of thumb is to put aside 30 percent of monthly income for taxes, so you don’t get yourself caught when paying quarterly or annual taxes. $2,800 minus $840 (the 30 percent reserved for taxes) equals $1,960. Thought it was worth disclosing what I’ve made so far freelancing. I’ve additionally done some landscaping and other side projects beyond proper freelance writing.